I love a good swap!! A bunch of artsy ladies and I are swapping journals over the summer and since there are 10 of us probably into the fall too. 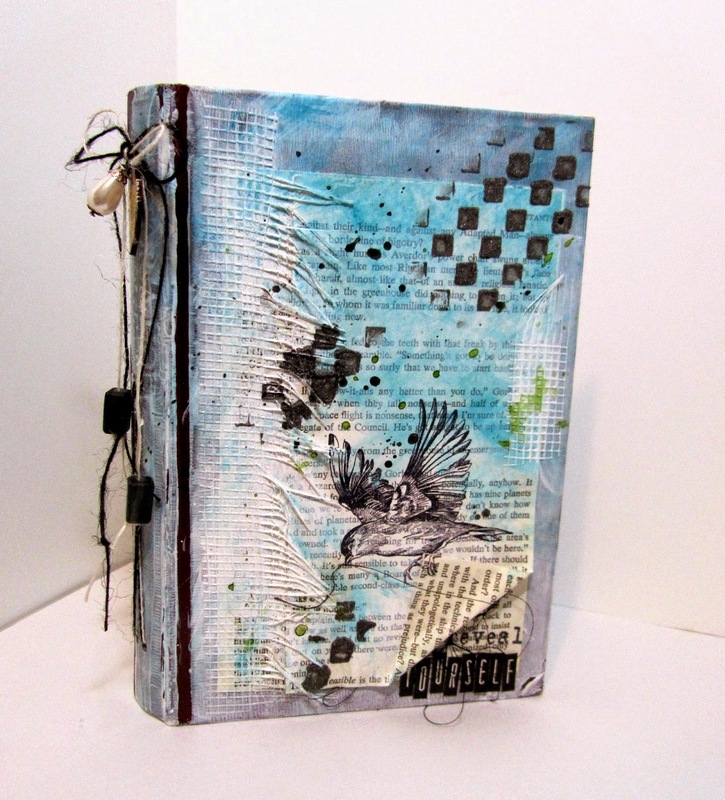 Each journal has a theme and gets sent round robin style to all the members. My journal is made from an old book that I removed all the pages from. I used pages of an old atlas to create new pages, just enough for this swap. I started with the first spread and made enough pages so I could be the last one too. I coated the cover with gesso so I could prepare it to show what my theme would be. I used a couple of the pages from the inside of the book on the cover. Misted it, used one of my favorite UmWow Studio masks (checkerboard) and a Viva Las Vegastamps! image (large bird flying) pulling a page back to show the theme, reveal yourself. 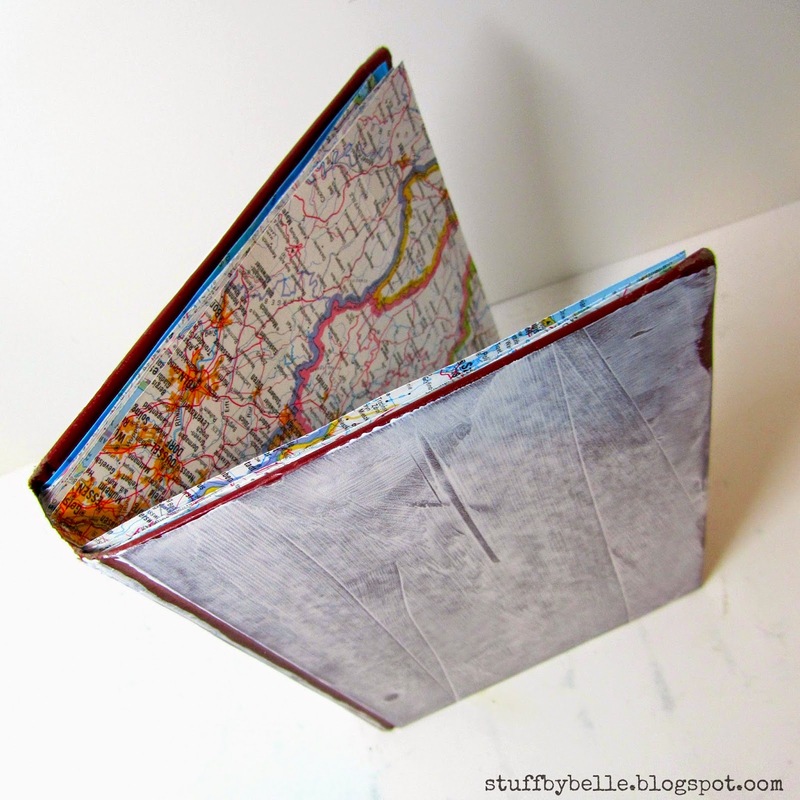 I used May Arts burlap string to bind the map pages. I can't wait to see everyone's interpretation of my theme. Lots of UWS (wood grain mask, butterfly, butterfly swarm mask, snail) and VLVS! (butterfly spotted) and chicken wire). 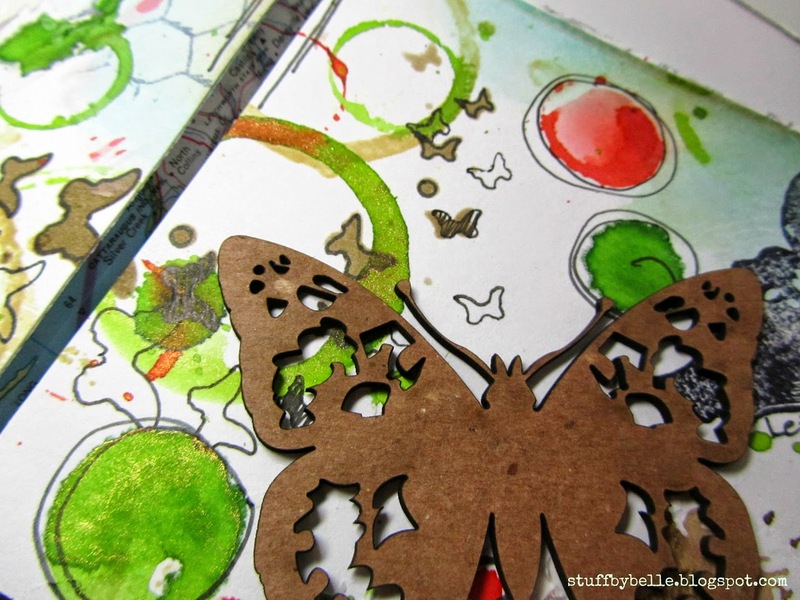 May Arts ribbon, Prima flowers, 7 Dots Studio Nature Walk stamp and Tattered Angels mists. Journals are postal and have already started arriving to their first destination. 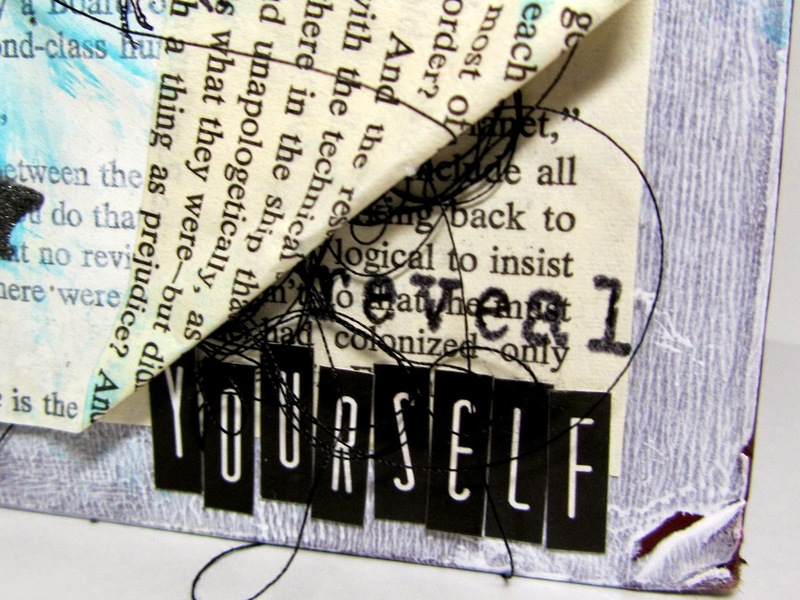 Keep an eye out for updates on the blog showing pages from each journal I receive. Labels: 7 dots studio, Art Journal Swap, may arts, prima, Um Wow Studio, Viva La VegaStamp!, VLVS! This has to be one of the coolest swap ideas I have ever seen! You are going to have so much fun! Love the cover and the theme! This will be a wonderful swap, very unique! Can't wait to see the journal when it is done!